Amid questions of whether ex-Congressman Blake Farenthold was hired inappropriately as lobbyist, he says, "I wasn't involved"
Asked about a report questioning whether Farenthold's recent hiring as a lobbyist for the Port of Port Lavaca may have violated the Texas Open Meetings Act, he said, "I don't know anything about it." CORPUS CHRISTI — Asked Friday about a news report that said former U.S. Rep. Blake Farenthold's recent hiring as a lobbyist for the Port of Port Lavaca may have violated the Texas Open Meetings Act, the Republican said he "wasn't involved." The Victoria Advocate reported Friday that Farenthold’s hiring may have been illegal since the notice posted by the Calhoun Port Authority, which oversees the port, was too vague in describing what was going to be said at a closed meeting where the former congressman's hiring was discussed. According to the Advocate, the posting said the board would meet “for the purposes of deliberating the appointment, employment, compensation, evaluation, reassignment, duties, discipline or dismissal of a public officer or employee.” But the Texas Supreme Court ruled that these notices need to be specific when they concern high-profile people. 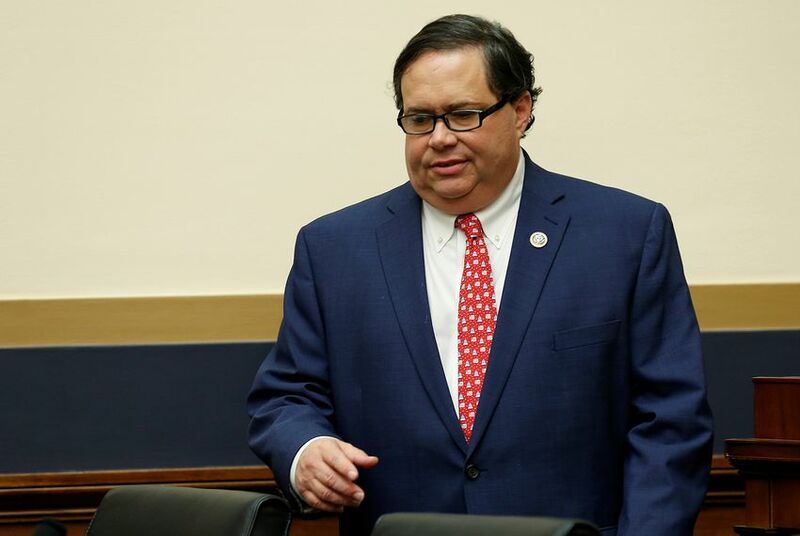 Weeks after resigning from Congress amid sexual harassment allegations, Farenthold announced he had accepted a job as a lobbyist for the Port of Port Lavaca. The Calhoun Port Authority confirmed Monday that Farenthold would serve as the port's full-time legislative liaison. Attorneys representing the port denied that the disgraced congressman’s hiring was illegal since only the executive director of the port, Charles Hausmann, had the authority to hire and fire employees, the Advocate reported. At the closed meeting, they said, Hausmann only consulted with the board about potentially hiring Farenthold. The board itself did not vote on the matter.